Info: not to raise any confusion: for English-speaking countries I kept my first name Halbhuber as a stage name. 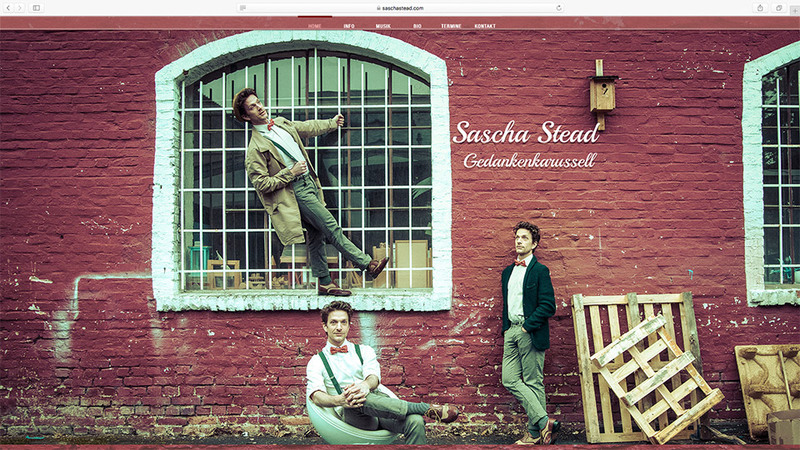 After successfully completing his studies at the Dr.Hoch´s Conservatory and the University of Music and Performing Arts in Frankfurt/ Main, Sascha worked initially as a soloist dancer in several Opera houses (Kassel, Braunschweig,Bielefeld and Bonn). Parallel to these fulltime engagements he sang with big band and jazz-combo’s. Once he had moved into the genre of Musical Theatre, however, Sascha was able to show his multi-faceted talents in diverse roles. Amongst others he has played Riff in ‚WEST SIDE STORY’, Ajax in ‚LA BELLE HELENE’, Petruccio in ‚KISS ME KATE’, Emcee in the hit South African production of ‚CABARET’ [for which he won a much coveted Durban Theatre Award], and Jamie in the award winning two-man musical ‚THE LAST 5 YEARS’. Last Sascha could be seen as the Beast in Disney’s Broadway Hit BEAUTY AND THE BEAST.